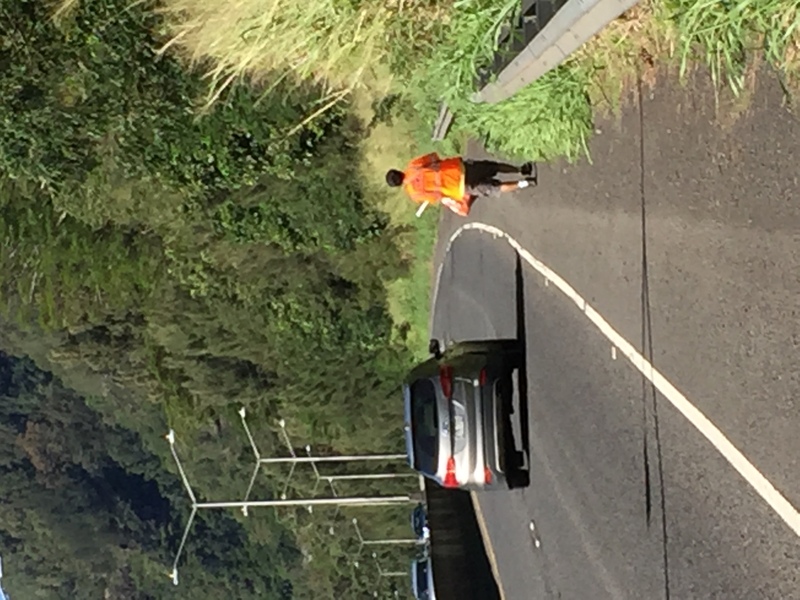 Today we completed our periodic cleanup of our section of the Likelike Highway as part of the Adopt A Highway program! 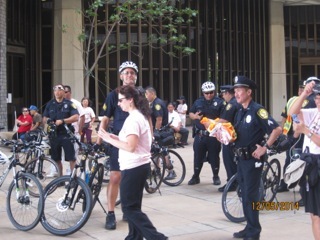 We are pleased to do our part to keep the community clean. 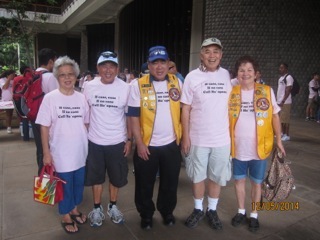 Many thanks to Lions Michael Young, Jack Schweigert, Abe Wong, Kin Ching, Dennis Ting and Mick Laconsay. 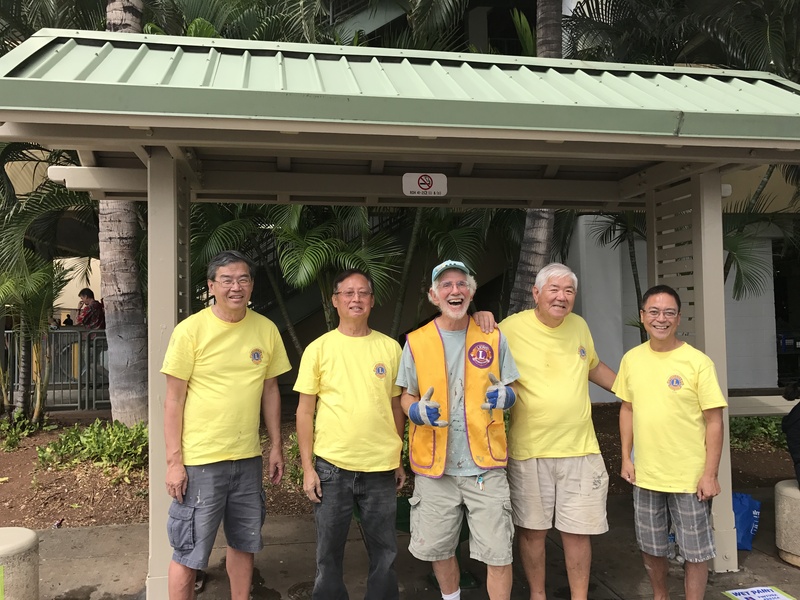 This weekend our club thoroughly cleaned, then painted the bus stop in front of WalMart on Keeaumoku St. 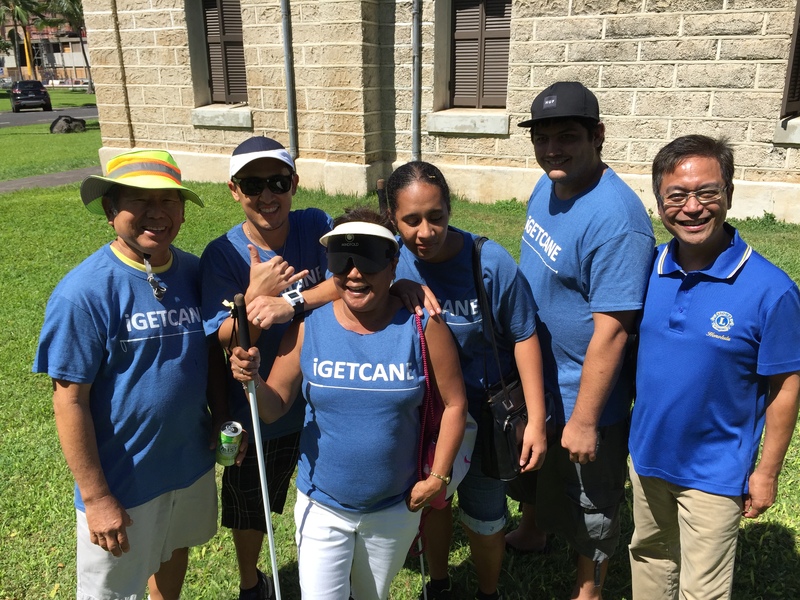 Maintaining bus stops and painting over the graffiti is one of the service projects we do to make our community better. 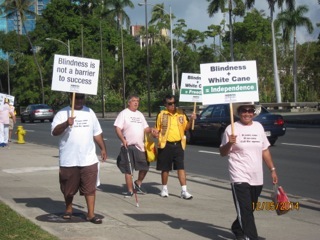 While working, we received many compliments from people as they walked by, appreciative of the improvements. 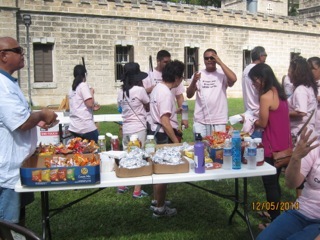 One nice lady actually went into the store and bought us bottled water. 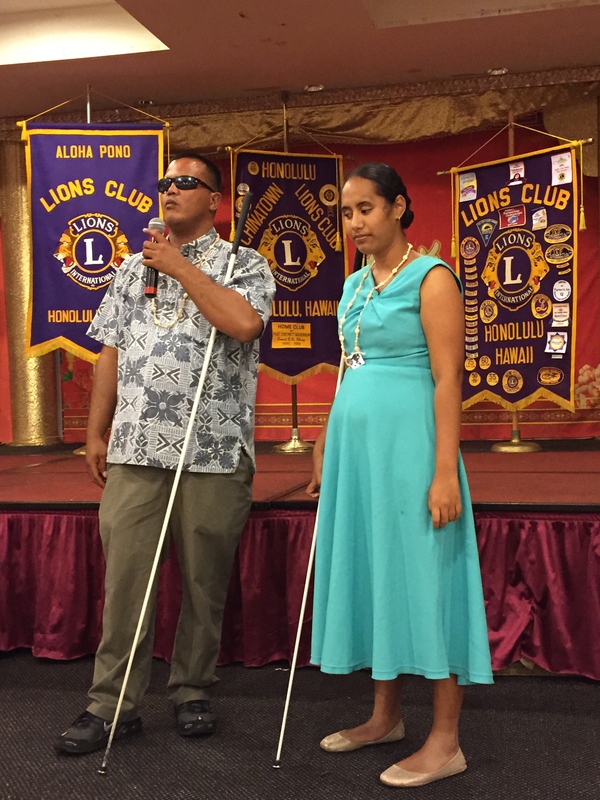 Mahalo to a friend of the Lions, Karl Alexander for the helping hand!! 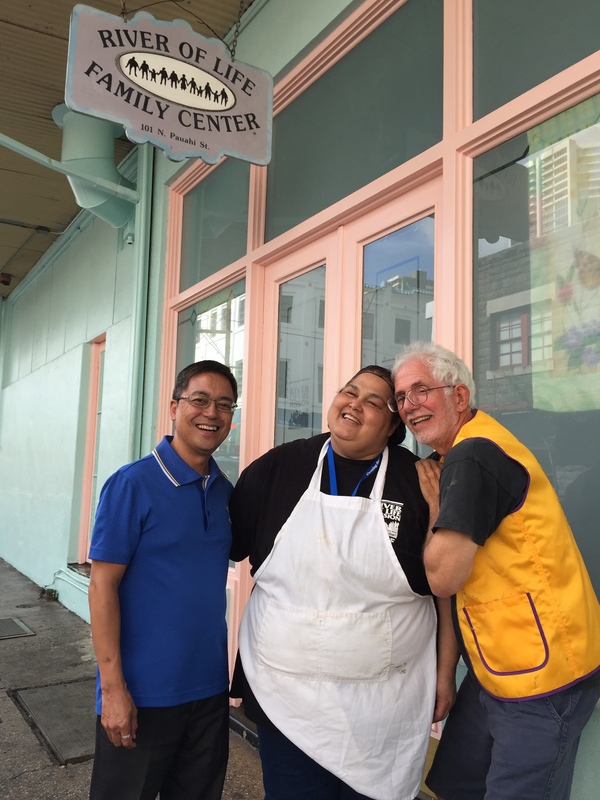 This past week we had the privilege to assist the Institute for Human Services (IHS) with their dinner service at the women’s and family shelter. 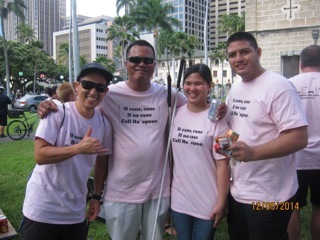 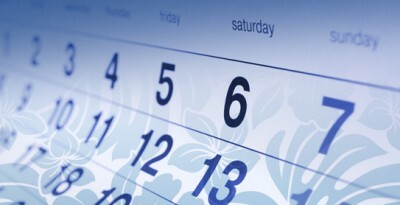 It is a wonderful and worthy experience to help their clients. 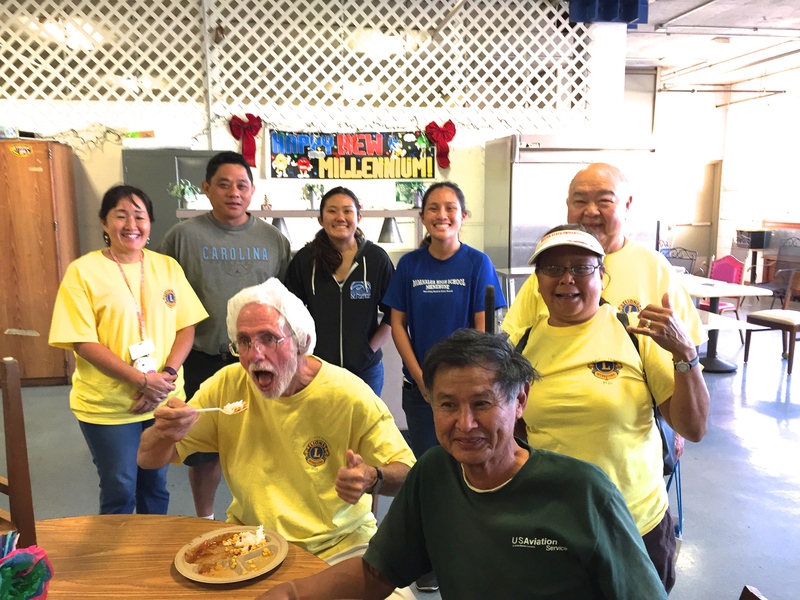 We were happy to see their clients enjoy hot food, even president Jack enjoyed a plate!! 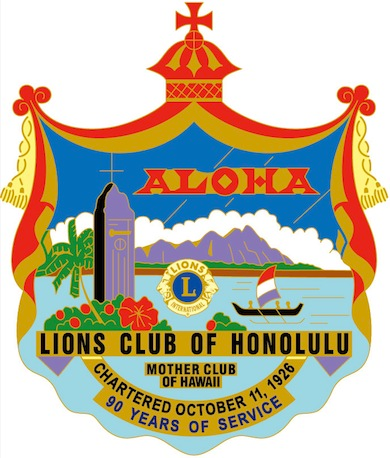 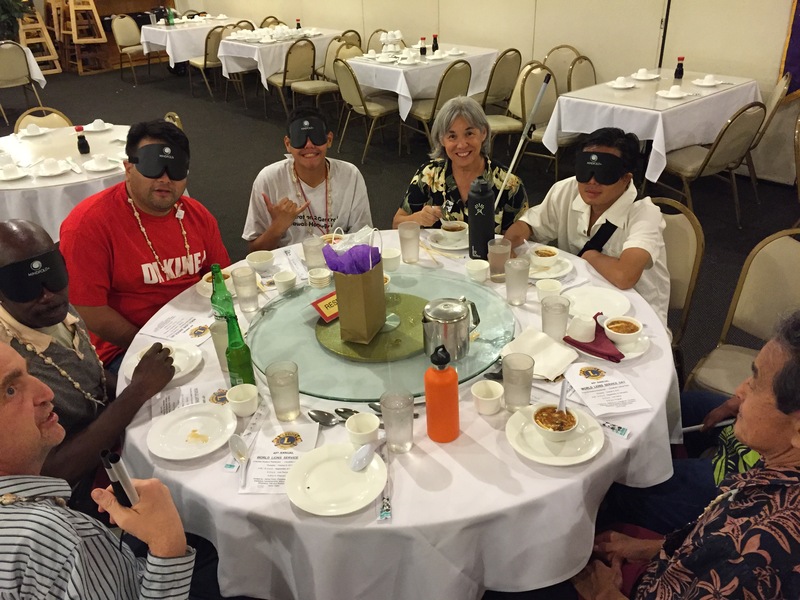 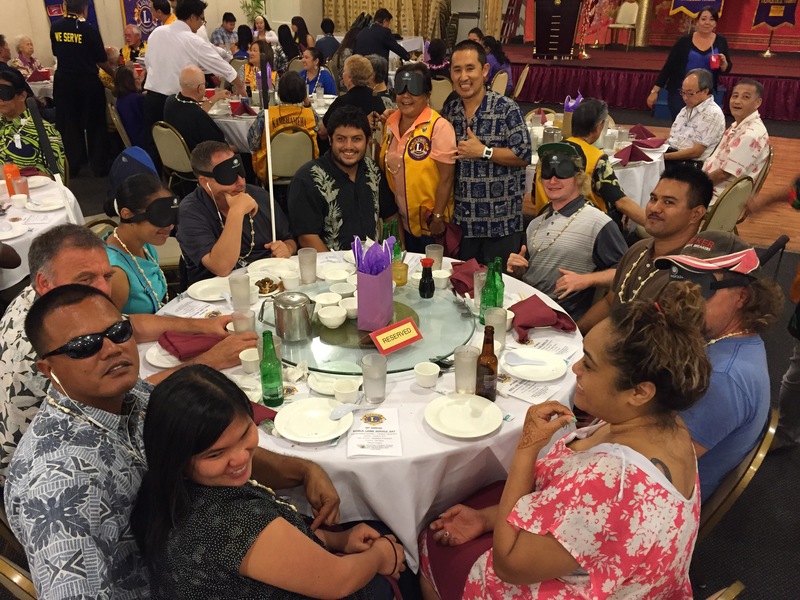 Big mahalos to president Jack Schweigert, PDG Bernard Ho, Lion Dennis Ting, Lion Kyle Laconsay, Lion Jean Ota and CIS Carl, and daughters Jaycie & Jillian Ota. 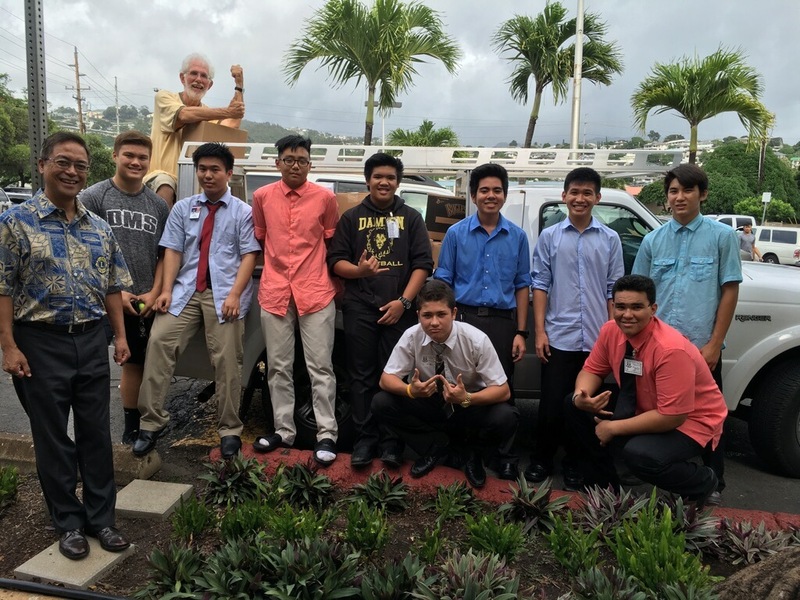 Also, mahalo to Lion Joshua Jensen for providing this opportunity to serve. 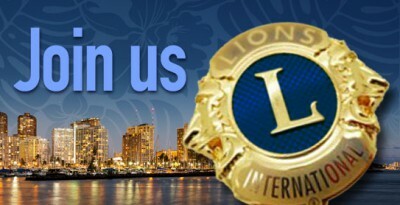 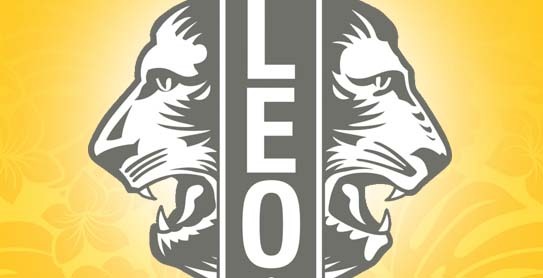 Please contact Lion Mick Laconsay if you wish to serve next time! 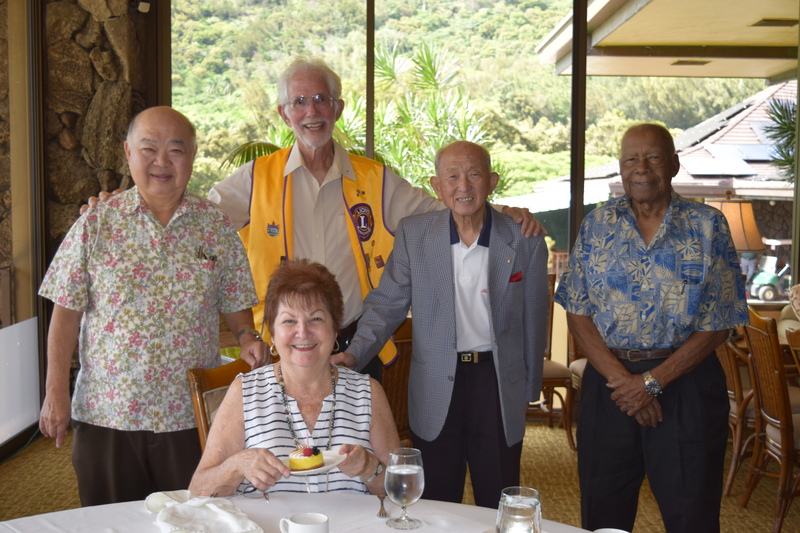 On October 26, 2001 the Lions Club of Honolulu, along with our sister clubs Hiroshima Lions Club, Osaka-Minami Lions Club, Kurashiki-Achi Lions, and Higashi-Osaka Nishi Lions, planted a small tree at Magic Island which is known as the “International Friendship Tree.” Over the years, Lions from our clubs continued to meet under the tree to share a meal and nurture the friendship between our clubs. 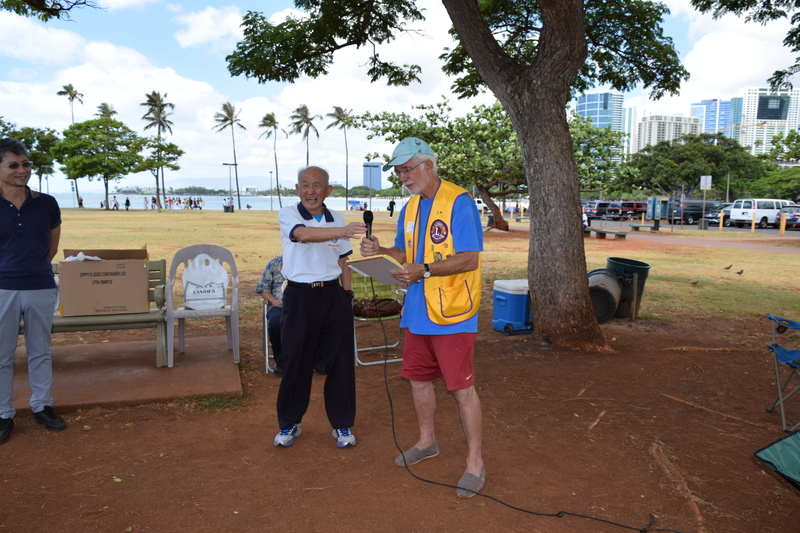 On October 13, 2016, as part of our 90th Charter festivities, Lions from the Honolulu, Hiroshima and Osaka-Minami Clubs gathered around the tree for a picnic to celebrate the 15th anniversary of the International Friendship Tree. 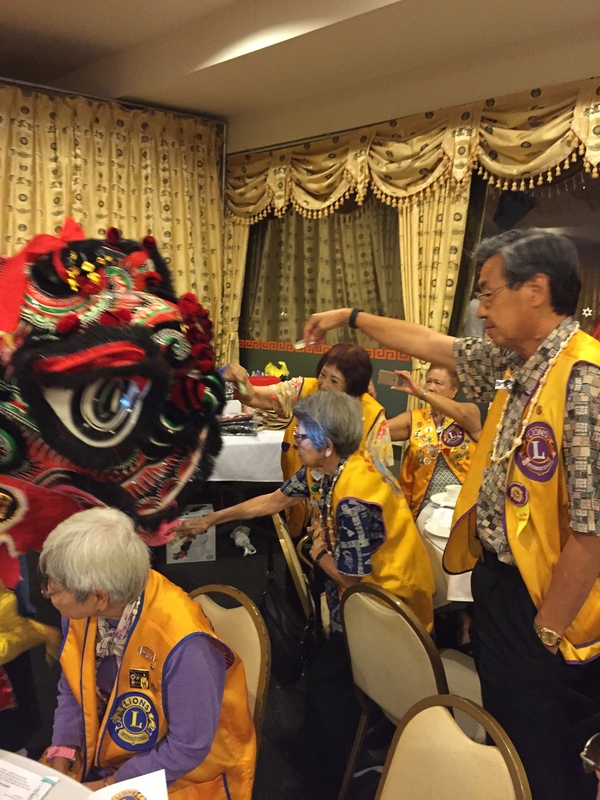 It was a beautiful sunny day to reflect on the friendship that has been forged over many years and the many Lions who shared a meal under this tree before us. 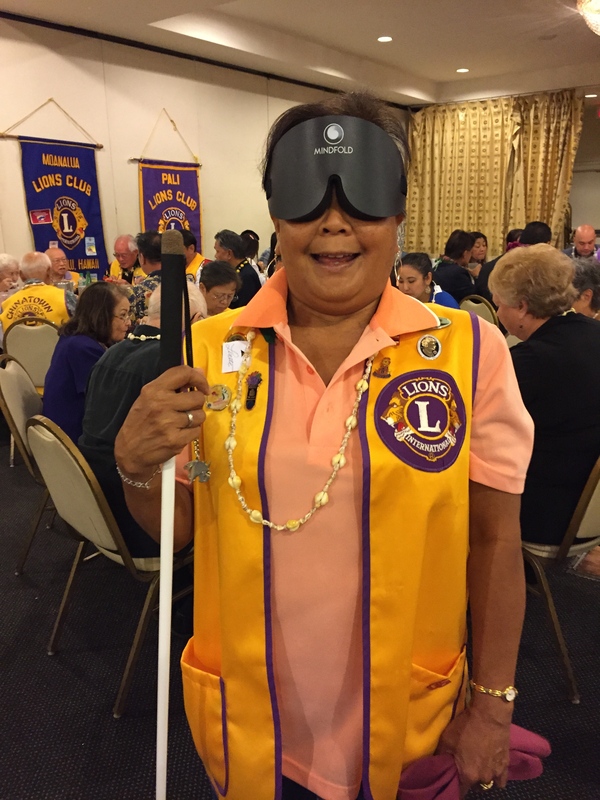 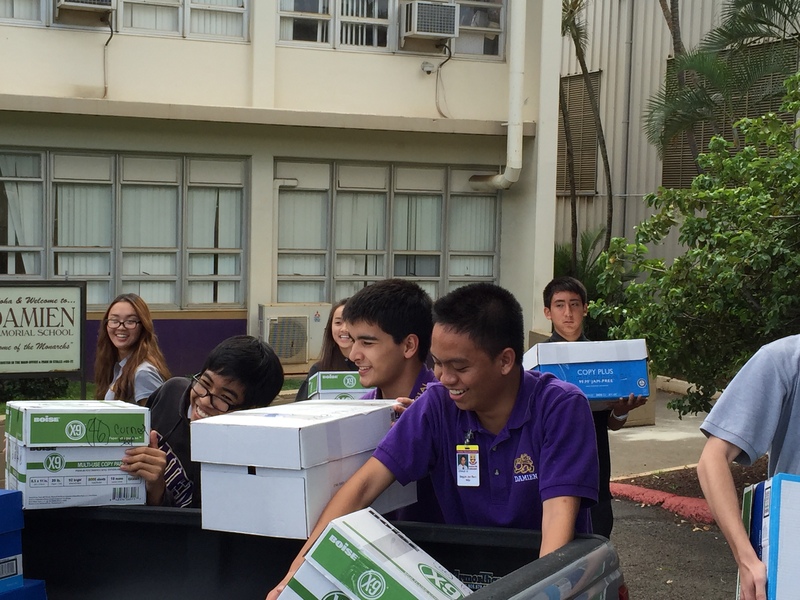 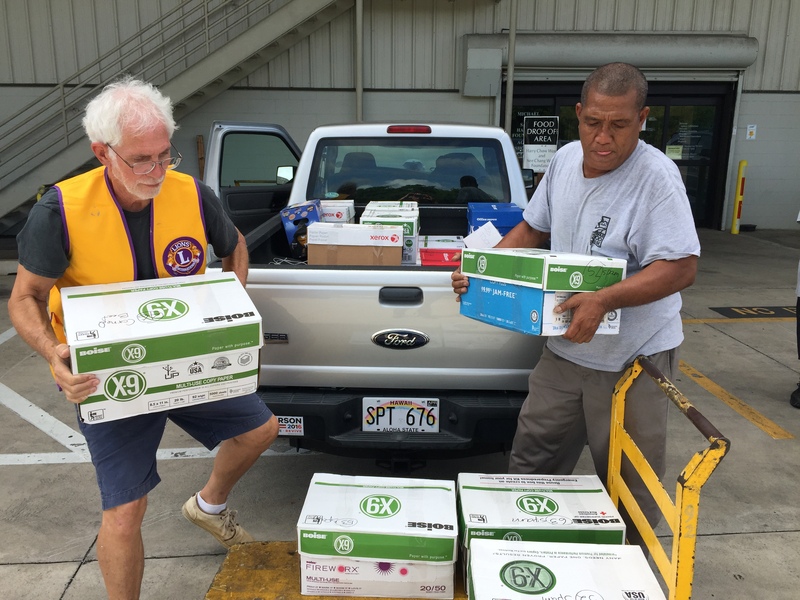 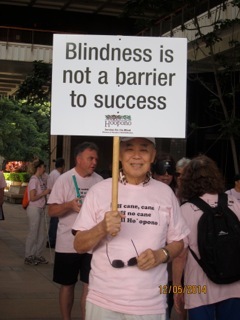 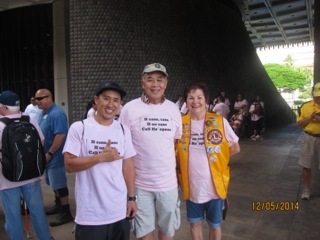 the Lions Club of Honolulu gladly delivered these items on their behalf.